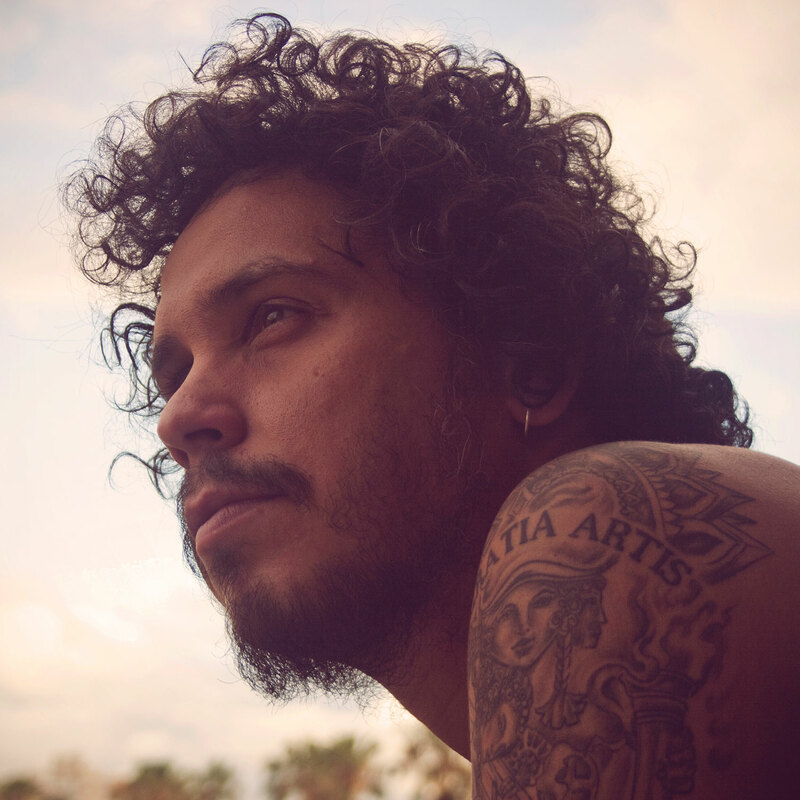 Tiago Rubens is a singer-songwriter and producer from Brazil who is part of the new generation of voices of Brazilian Popular Music, also known as MPB. He was born in Porto Alegre, capital of the state of Rio Grande do Sul located in the south of Brazil and lived his childhood in Imbé, a beach near this city. His laboratory of compositions was between the sea and the roads, nature and urbanization, and of course, in that mix, he found the alchemy of his songs which goes from urban rock to the melancholy of the temperate climate and the tropical joy of the Brazilian rhythms. He defines himself as a free artist. And so it shows. With more than 20 years of concerts, with bands and collectives, in 2012 he recorded his first solo album, of independent production, called SUBTROPICARNAVAL. It received three awards, and songs like "Will I be afraid of being a king? ", "Temporary" or "Emanar" were hits both forthe critics and audience. Musician and traveler, he toured stages of Bahia, Rio de Janeiro and southern Brazil. And today his road continues through Europe. In his musical baggage in addition to his own songs and re-readings of friends, Tiago has a vast repertoire of the best of Brazilian and Latin music, the result of years of research and commitment to popular song. On March 29 he released his second album by the title of AGÔ, in partnership with Rafael Sarmento, composer from the north of Brazil. They immersed themselves in the universe of spiritual and rhythmic African roots, as well as bringing social, reflective and philosophical aspects into their letters.